Measuring B2B ecommerce performance should be straightforward. Too often, however, measuring means having a complex strategy with confusing key performance indicators aimed at presenting data just for its appearance. In this article, I will offer a simple yet powerful method for tracking B2B performance. Identify what you should measure. Develop KPIs that align with your sales cycle. Typical areas include customer acquisition, adoption, growth, and retention. Tracking B2B performance isn’t always as straightforward as with B2C. In my experience, B2B transactions are much more complex and can take place across multiple channels over longer periods. For example, buyers often use a website to research and decide what to buy. Then they submit the order via, say, email, electronic data exchange, or phone. In that case, the revenue from an ecommerce website would appear to be zero. But the site played the largest role in generating the revenue. Start simple by tracking customers, users, and usage. These three KPIs would be relevant to most any B2B ecommerce program. Customers. How many customers does the company have? Users. How many users across all customers? Usage. What percent of users are actively using your ecommerce site as a buying resource or an order placing tool? Determine the best methods for measuring. Try not to focus on the technology but, instead, on what you can extract from it now and later as you advance your tracking strategy and tactics. Start with a basic tool such as Google Analytics. Then add other services as necessary. Use Google Data Studio to collect and organize data from multiple sources. Single dashboard. Data Studio offers a single dashboard with data from multiple sources, including spreadsheets or exports from other systems. Enhanced presentations. Use Data Studio to enhance data and present insights in a meaningful and easy-to-consume manner for your team. There is no need to develop custom measurement systems. 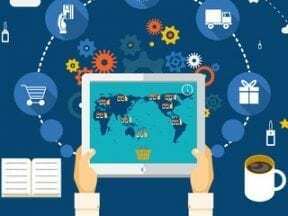 I can determine how to measure most any meaningful metric with a bit of research or by reaching out to colleagues in the B2B ecommerce industry. Routinely audit and revise your measuring strategy. Ask the right questions continually. Does everyone understand the data and insights? What actions are being driven from the data? Always improve your ecommerce measurement program. Better insights. Evolve from tracking at a company level to a customer or salesperson level. For instance, you could track customers, users, and usage by salesperson versus the company as a whole. Doing this would help a salesperson improve. Try new measurement tools. Technology is always evolving. Examples for improved tracking include heatmaps, visitor recordings, and conversion funnel tracking. View B2B ecommerce tracking as a journey and not a destination. It’s not something to have “figured out.” Rather, it’s something to continually improve upon. Discuss your measurement strategy in your organization. Use feedback to guide future iterations. 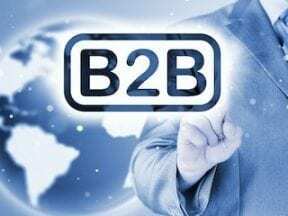 And reach out to others in the B2B ecommerce field. Share best practices, answer questions, and ultimately build a network that you can count on.